MLB Blog: Did any Blue Jays Management attend Winter Meetings ? Did any Blue Jays Management attend Winter Meetings ? 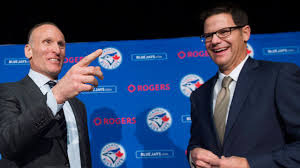 I saw the interviews with Ross Atkins and Mark Shapiro...so I think they were in Nashville. However, maybe it was one of those computerized backgrounds made to look like they were in Nashville.